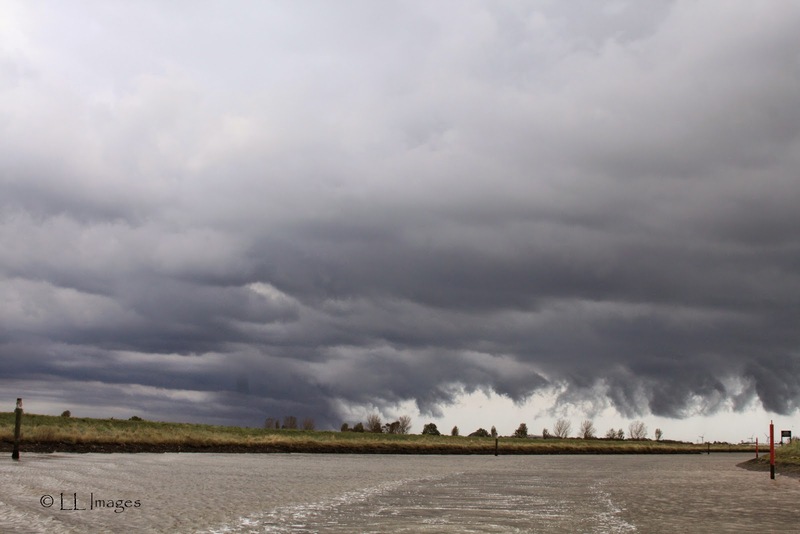 Actually, it started before the rainbow, with a rain storm of enormous proportions, which followed us up the river and arrived as we moored at Thurne. All was safely battened down and waterproof and I must congratulate the weather forecasters on a reasonably accurate forecast – they said the rain would come through at lunchtime and last for three hours – it came through around 3pm and lasted for around an hour and a half! Pretty fair forecasting we thought. 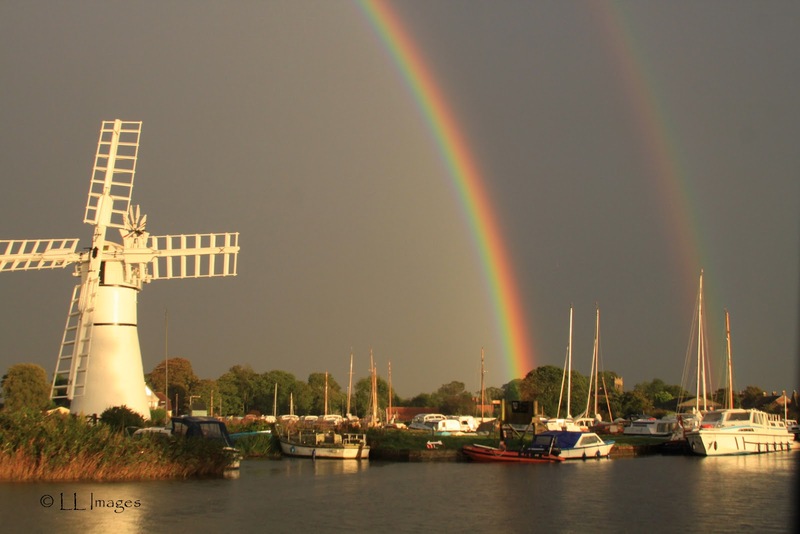 As the weather front started to clear, with blue sky appearing, a glorious rainbow developed. One of the occasions when I longed for a wide angle lens to snap the entire rainbow. However, I wanted to catch as much as possible so the skipper started to open a window for me to poke the camera out but as we both moved to one side of the boat the water on the roof started to pour down the side so he rolled up a towel to catch it and enable me to keep the camera dry. I stood in front of the navigator’s seat with the camera at the ready and he leaned over with the rolled towel. Unfortunately, the folding back of the seat folded at that point and he fell forward enough to knock me off balance. 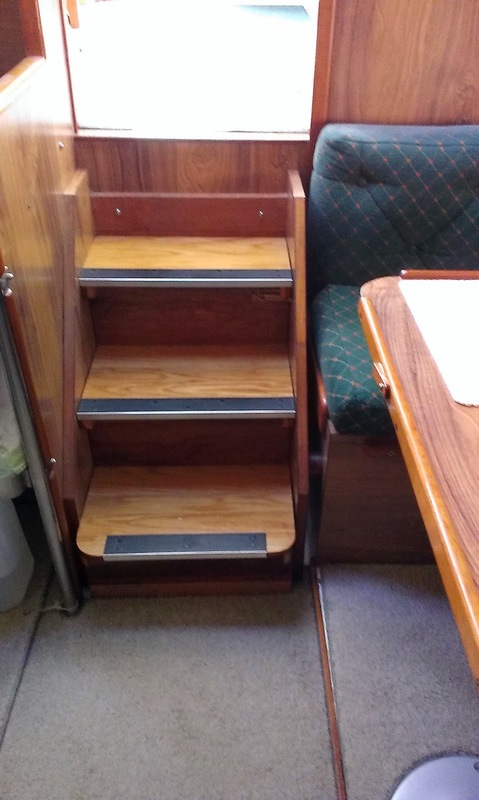 There was nothing I could grab and in a freaky accident I went backwards, not just on to the floor, but down the steps into the saloon of the boat! Total shock was my first reaction, followed by concern for my camera and then pain from so many parts of my body that I didn’t know which to worry about first! The skipper rushed down to try and get me up but I told him to leave me whilst I assessed any damage. My initial thought was that I had cracked a back rib, followed by a dislocated shoulder and a ripped ear! The skipper examined my ear closely and proclaimed “no blood” and my shoulder was moving in the socket so the rib was the main concern. To cut a long story short, severe bruising was the only problem, thank goodness – I’ve discovered a few more bruises today, two days later, on legs and buttocks! A decision was made to cut short our weekend and head for home, for a hot bath and medication, which was the right move, although we did miss a glorious day on Sunday! I did recover enough to take a few snaps of the rainbow and, hallelujah, no damage to the camera - it landed on a seat cushion - which is where I should have landed!! So glad you had nothing broken. It was a glorious rainbow - I'm sure I've never seen one quite so vivid in colour. Unfortunately I only had my phone on me to capture it but it didn't do a bad job.